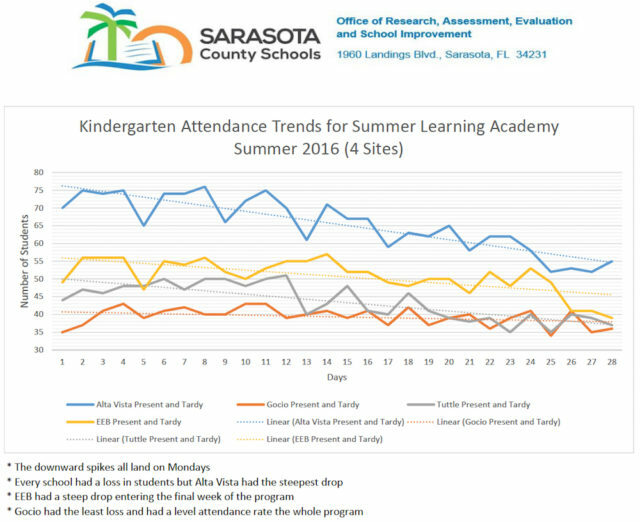 Youngsters who attended at least 75% of the days that summer learning academies were held at four Sarasota County elementary schools this summer showed significant gains compared to their peers at those schools when they entered kindergarten in August, Superintendent Lori White told the Sarasota County School Board members this week. Assessments of the students’ reading abilities showed those who were present at least 21 of the 28 days of the summer academies on average had scores that were 10 points higher than those of the children who did not attend the academies, she reported during the board’s Dec. 6 workshop. The assessment tool — called iReady — is designed to be adaptive in measuring a child’s ability in a subject, White explained. If a youngster seems to have no difficulty answering questions, she said, it proceeds to give them harder ones. The teachers who worked with the students during the academies are the same ones with them in the classroom this year, White noted. Typically, in kindergarten, she continued, it takes three to four weeks for the children to understand routines and expectations. That was why teachers could point to those other benefits of the summer programs, she added. The four elementary schools that offered the academies were Alta Vista, Gocio, Emma E. Booker and Tuttle. The iReady assessments also showed benefits of the summer program for first- and second-graders at Alta Vista, White continued. 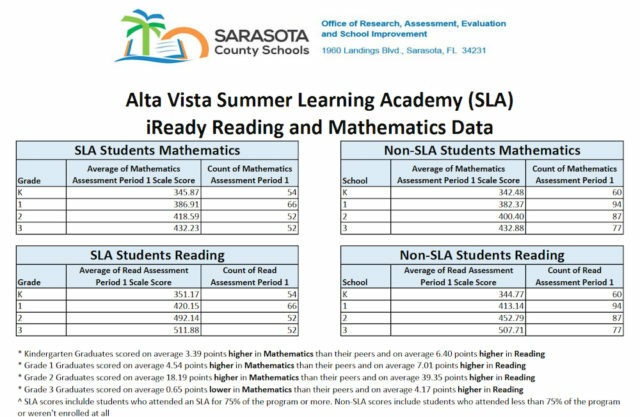 A summary of the data provided to the board members in advance of the Dec. 6 meeting says that the 66 first-graders at Alta Vista who attended 75% or more of the summer classes scored an average of seven points higher on their first iReady assessment of the 2016-17 school year than their classmates who did not participate in the summer program. 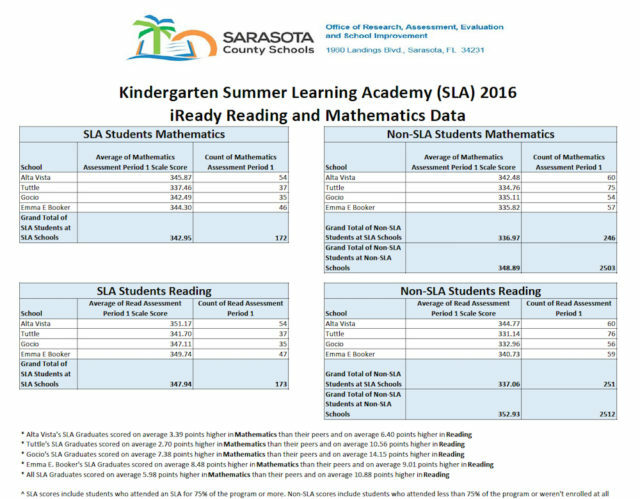 The 52 second-graders who attended the summer Eagle Academy at the school averaged 39 points higher on the first iReady assessment than their classmates who did not participate in the summer program, the summary notes. Compared to other second-graders across the district, the Alta Vista second-graders showed a 12-point gain on that assessment, while the others showed a loss compared to the final assessment they took in the previous school year, the summary adds. However, White told the board, “the third grade was a bit of a puzzle,” as those students did show a slide in scores from their last assessments of the 2015-16 school year to their first assessments of the 2017-17 school year. “Title I” refers to schools with high percentage of low-income students. Such schools receive additional federal funds to support programs for those youngsters. In terms of attendance: The summary notes that 80% of the students attended 21 or more days at Emma E. Booker; at Gocio, 80%; at Tuttle, 71%; and at Alta Vista, 68%. Data showed, for example, that 56 students were present at least one day at Tuttle, but only 40 attended 75% of the total program days. At Emma E Booker, 60 children were present at least one day, and 48 were there 75% of the total number of days. At Gocio, 46 youngsters were present at least one day, and 37 achieved the 75% attendance rate. The data for Alta Vista showed 334 children attended at least one day in grades kindergarten through third. Of those, 227 were present for at least 75% of the total days. If district staff can help parents understand the benefits of the summer academies, White pointed out, the parents probably would be more inclined to make certain their children continued with the classes. Given her own experience with her two young daughters, she noted, child care might be a big issue, since the academy classes are offered just four days a week. District staff works only four days a week in the summer, White responded, so expanding the days for the summer programs would also have an impact on the savings the district realizes by closing all its facilities that fifth day of the week. In response to another question, White explained that instruction was provided each morning, while enrichment programs were offered in the afternoons. 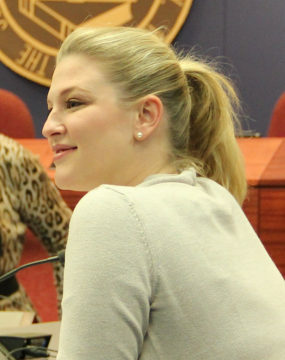 Board member Shirley Brown pointed out that parents of one group of students who could have attended Emma Booker Elementary this year — because of where they live — instead chose to have the youngsters attend Phillippi Shores Elementary School in Sarasota. Yet, “a lot of those kids would benefit from this [summer] program.” Would it be possible to expand the Emma Booker summer academy in the future to make room for them?, Brown asked. A discussion about expansion of all the summer programs will be considered, White replied. However, the expense will be a major consideration, she added. The cost of providing the academies at all of the district’s elementary schools would be “very prohibitive,” White said. 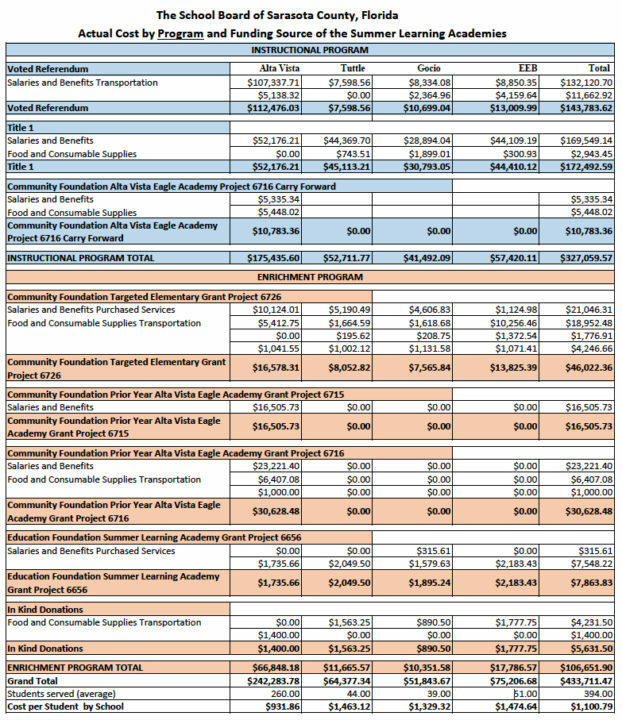 A chart provided with the board’s agenda material showed the expense of the programs ranged from $175,435.60 at Alta Vista — with four grades — to $41,492.09 at Gocio. The district used $143,783.62 out of ad valorem tax revenue from its special, voted 1-mill tax to help cover the total cost of $327,059.57. Enabling some students to access programs in scenarios akin to the one Brown noted is a possibility, White indicated. Still, what would be lost would be the youngsters’ familiarity with teachers at their own schools, White continued. 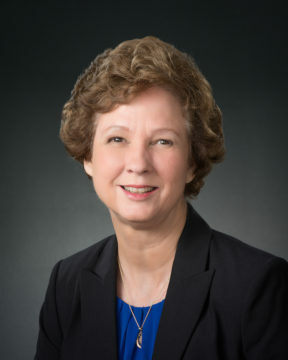 One primary facet of the programs, she pointed out, has been pairing the children with the teachers they will have when the school year starts.